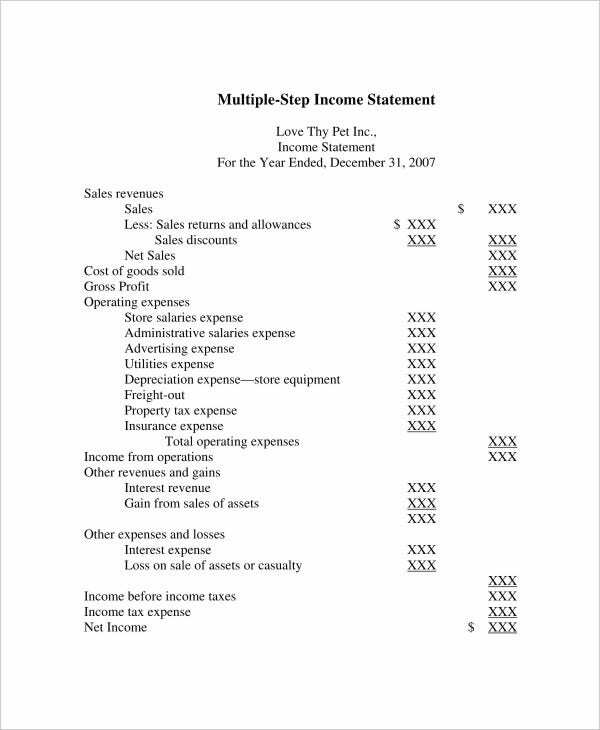 An income statement, also referred to as the profit-and-loss statement, is one of the major financial statements used by accountants and businessmen. Other major financial statement samples include the balance sheet, cash flow statement, and stockholder’s equity statement. All public companies must submit these legal documents to the Securities and Exchange Commission and the investor public. 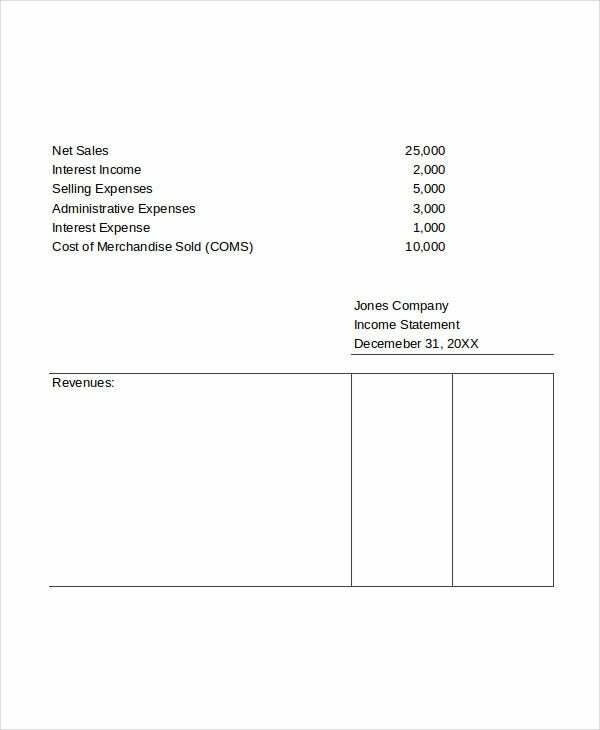 Unlike the balance sheet, which covers one moment at a time, the income statement provides performance information in a specific time period. 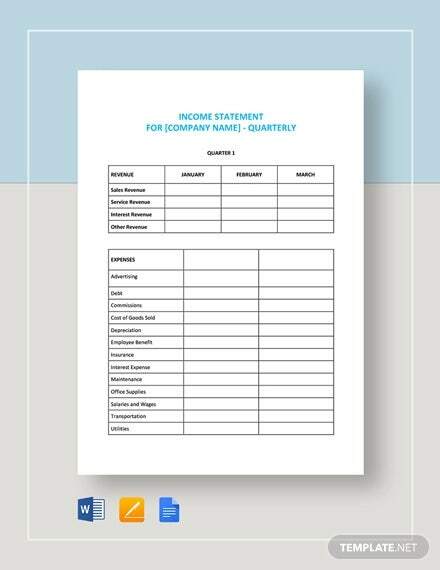 Feel free to check out our website for Income Statement templates that you can use. 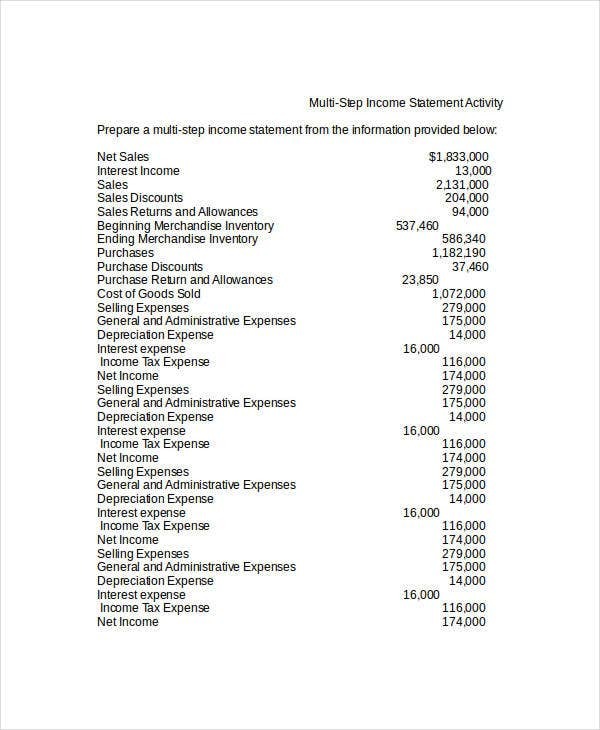 A single-step income statement uses a single calculation to determine a company’s net income. 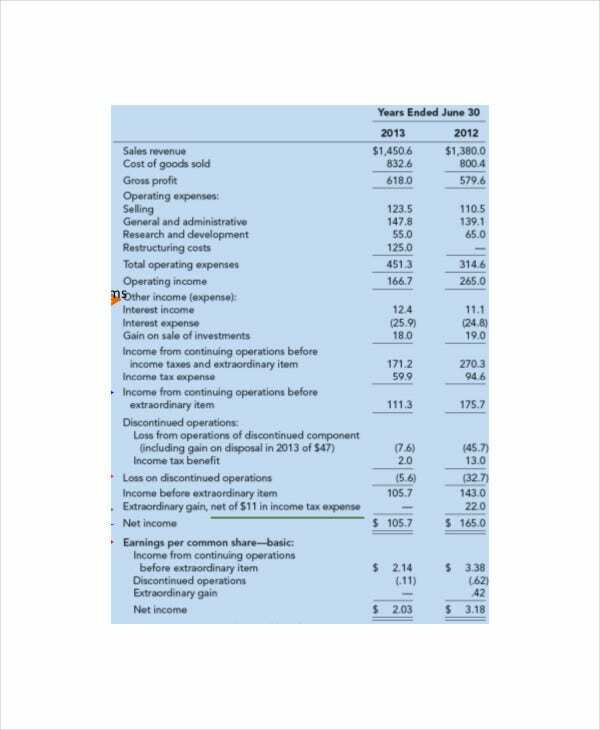 It adds up all of the earnings a company brings in from all its activities, and then the total expenses are subtracted from the gains to calculate the net income. 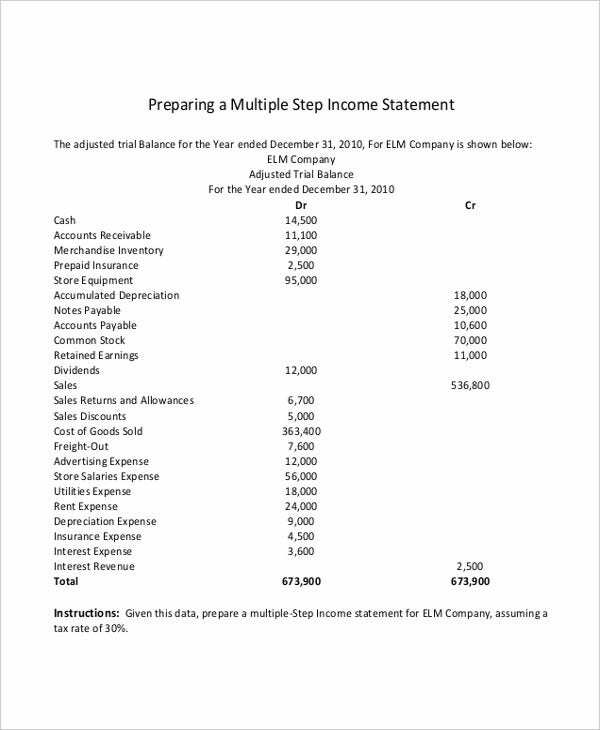 A multiple-step income statement provides a more detailed look at a company’s performance. It contains an itemized list of all gains and losses and separates the operating and non-operating activities. 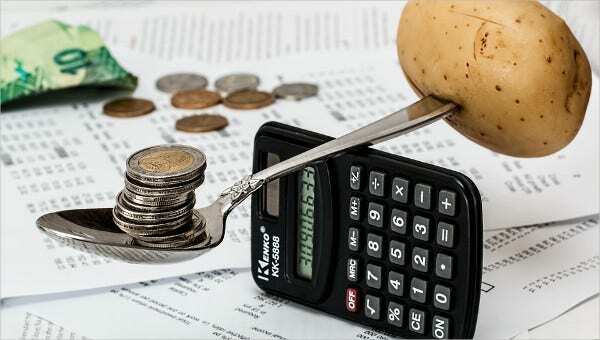 The end result helps the company in comparing their performance with their finances in a better and easier manner. Write the header which includes the company name, the title, and the period of the statement. Compute for the gross profit by subtracting the cost of goods sold from net sales. 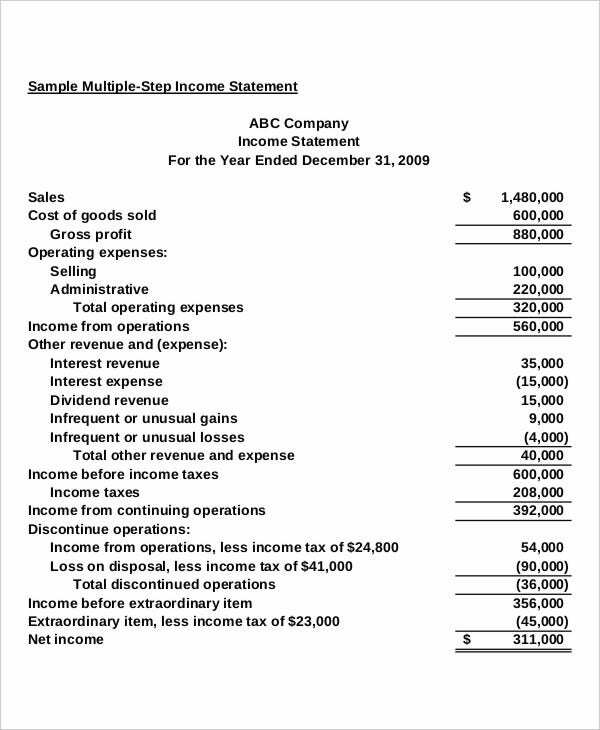 Compute for the operating income by subtracting the operating expenses from the gross profit. The net amount of non-operating revenues and the non-operating losses is combined with the operating income to arrive at the net income or net loss. 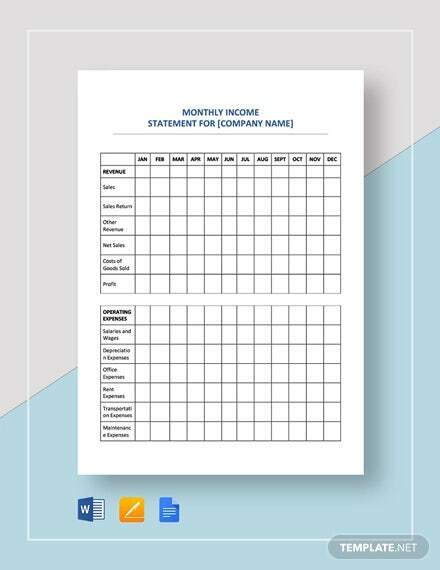 For more templates on income statements, you may want to check out our collection of Financial Statement Templates and Profit & Loss Statement Templates. 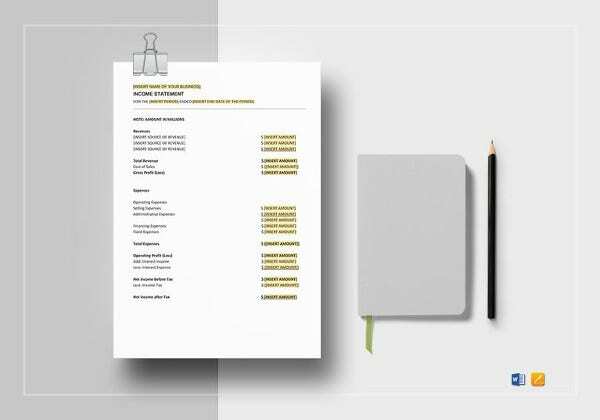 These templates have been written by knowledgeable and experienced business-minded people, and these can be downloaded easily and for free. 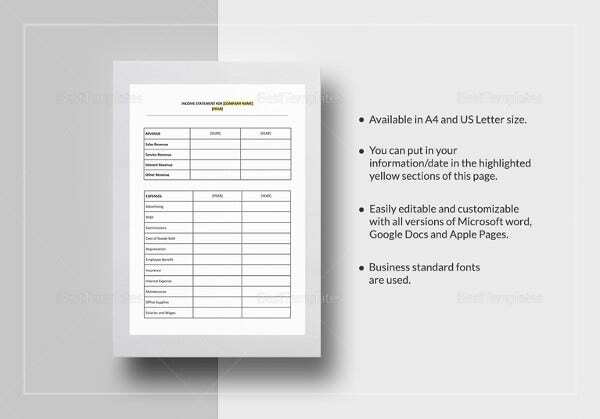 These templates come in various formats, and you can choose to download it in either Doc or Docx, Xls or Xlsx, or PDF format. 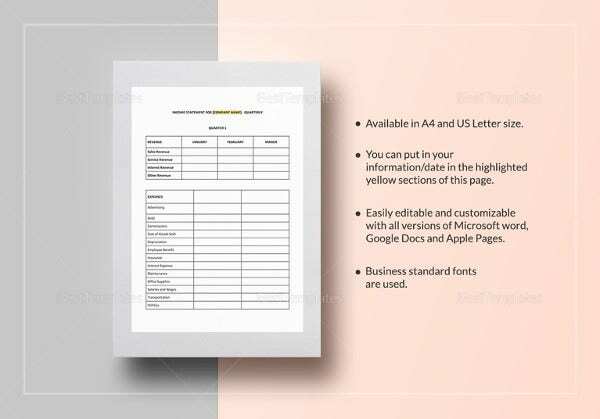 These templates are also fully editable, however, if you chose to download in PDF format, you may need the licensed version of Adobe Acrobat to be able to perform some editing on these templates. 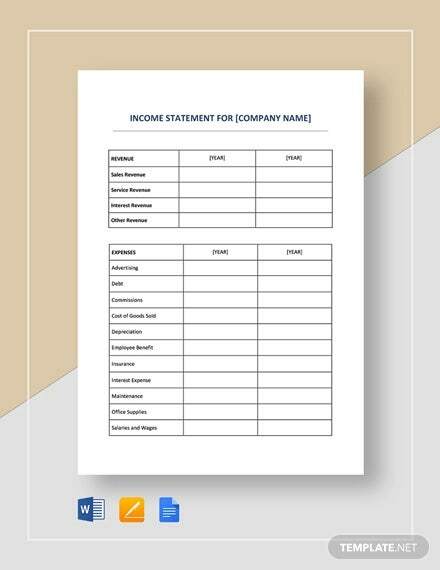 Search for the income statement templates on our site (use the magnifying glass icon on the top-left corner for easier searching). Download the templates on your computer. 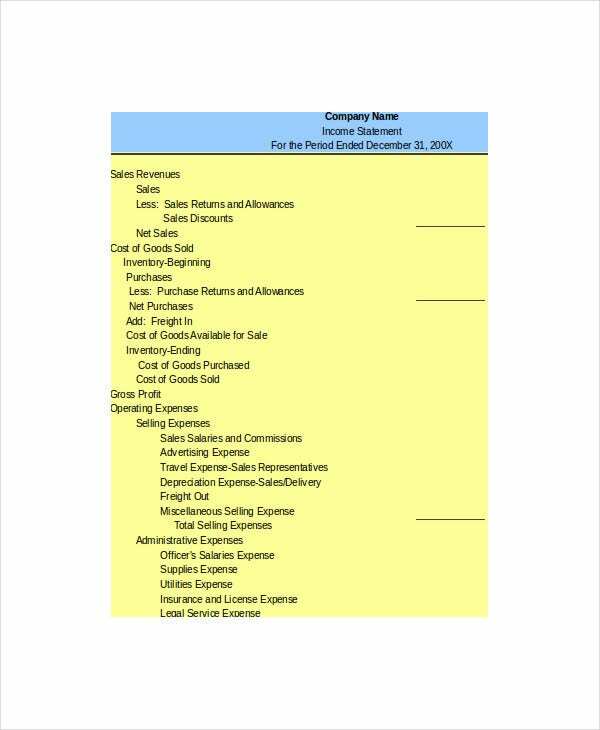 Customize the income statement template according to your needs or preferences. 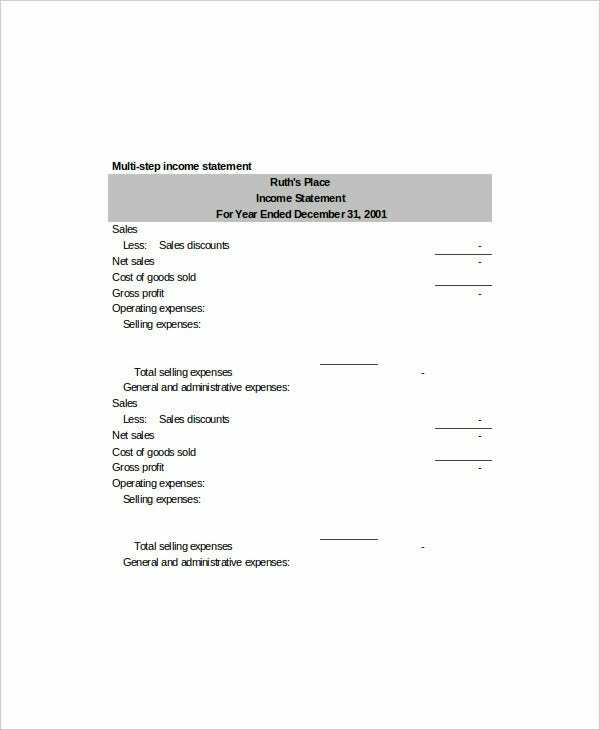 Finalize your income statement, and have it printed out (you can also opt for a paperless income statement by using it directly on your portable device, e.g. mobile phone, tablet, laptop). 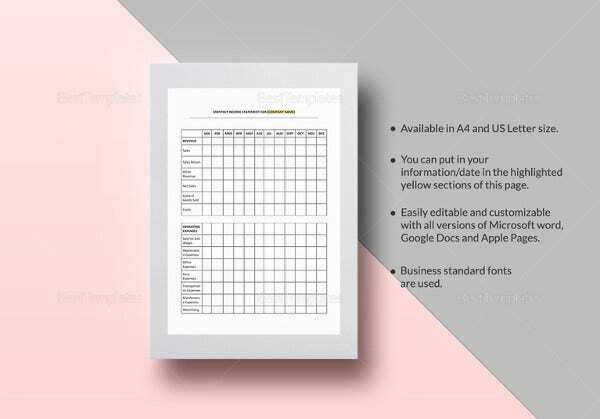 For even more templates to choose from, you may also want to check out our collection of Cash Flow Statement Template. But if you couldn’t find the templates you need, check out the links below for some related content.